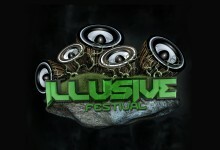 Forged in the fields and underground clubs of the UK and Europe, Illusive Festival was born. With a combined experience of over a century of creating festivals and events, the team at Illusive has one simple aim; to bring as much enjoyment to the people as possible for the smallest of costs. Uniting crews and Sound Systems from across the underground scene, Illusive (meaning not real, although seeming to be) strives to give the individual a true escape from reality. Built in a unique venue and spread over 3 days and 6 musical arenas, Illusive Festival brings you a weekend like no other. Hosting great Bands, DJs, Performers, Stalls, Structures coupled with a hint of magic, the ethos is clear in everything Illusive does: End to end entertainment and memories that will last you a lifetime. Spread the word, spread the love and we look forward to seeing you on the dancefloor!